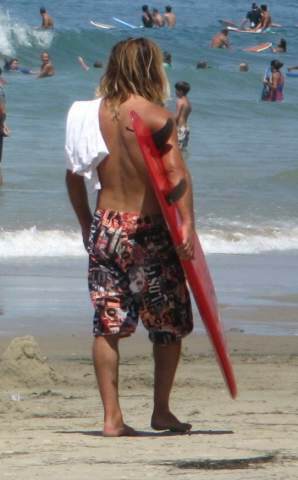 The Beach Boys Surfin USA lyrics in their hit song mentions some top surfing beaches in Southern California. Check out the correct Surfing USA lyrics below (many websites have them wrong). The Beach Boys "Surfin' USA" song is on the list of the The Rock and Roll Hall of Fame's 500 Songs that Shaped Rock and Roll. If everybody had an ocean Across the U.S.A.
Like the lyrics to Surfin' USA? Want to find out about the beaches? Check out the surfing USA beaches. Who was the only real surfer on the Beach Boys? Dennis Wilson.